Knowing what are the most common errors in Facebook Ads is the first step to being able to create more efficient campaigns in a tool, as complex as the ad platform of Facebook nowadays. 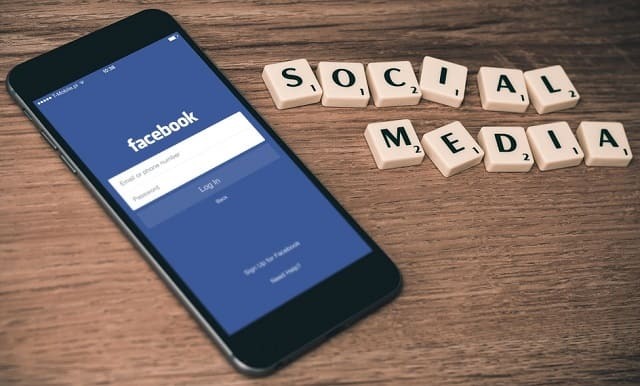 Socialbakers, a reference in analyzing social media data such as Facebook and others, compiled the common mistakes brands make when they decide to use Facebook ads known as Facebook Ads to promote their business. According to the site, even social media professionals still make mistakes when it comes to buying Ads and designing campaigns for them. Below are some of the most common Facebook Ads errors encountered by the Socialbakers team and stay tuned for their next campaign. When you begin to specify the criteria to promote your campaign, Facebook tells you how many people you will reach. Be sure to avoid too wide or too narrow targets, always consider your budget and the number of people you really want to reach. If you want to promote the same campaign for different countries, start thinking about multi-segment campaigns. Remember that each country has a culture, language and customs. Okay, you have the campaign ready and you're crazy to promote it on the "Face" thinking that everyone loves your brand. Beware, your consumers do not always share your interests. Market surveys can help you better understand your audience and what they really want. Also, how about targeting ads to an audience that can potentially buy your product? Try it. A good campaign succeeds only if it is well segmented, right? So, do not even think about including contacts from a huge list of emails with no targeting criteria, as it just does not work. Target your target by age group. The 16-year-old consumer, for example, does not want to get something targeted at a 30-year-old. They are different languages. What If You Have A Very Low Budget? It's very challenging when the customer is willing to spend money on Facebook Ads, but saving is not always worth it, especially when you want to reach a large audience. Use a large budget to promote a targeted campaign for a few hours or a few days until you reach your goal. Make the case for the value of Facebook ads. According to SocialBakers, it is recommended that you apply a large budget in a short-term campaign, and do not bet on something big, that lasts several days. Try something smaller, with high budget and monitor performance. Remember: You can pause or stop your campaign if something does not work out. Do not waste money or time. Ok, your campaign is in the oven and you want to illustrate it. Hence you have the idea "genial" to use the logo of your company. However, nobody but your employees and you know this image so well. Well, repent the image that will illustrate your Ad, it needs to be flashy. An image that overwhelms your ad can end your campaign. Remember that the size (100 x 72 pixels) is small and something big can make the campaign unreadable, besides annoying the surfer. Remember, your audience will only have a few seconds to observe your content, moreover, it is not always guaranteed that the ad will become a like. You need to catch the audience first with the most attractive content. You can do this by consulting any digital content provider in Dubai. Think of this example: your client decides to put the lewd content photo to draw attention to your company. Trouble is, it sells thumb drives or something. Bad idea, right? And if he wants to put the image of any celebrity with the only sense of winning the like of his possible clients. None of this will be valid for the success of your campaign or your client's business. Flashy calls to your customer's Ad can catch the eye of the Internet user to click on the Advertisement, but it also hurts the policy for Facebook advertisers. Do not fool your audience, in addition to losing points with it, you may also suffer punishment from Facebook itself and your page could be at risk. If you avoid these common Facebook advertisement mistakes you'll be well on your way to successful social selling and business branding on a budget! Sarah Feldman is an experienced digital marketing professional who is currently working with Digital Express, a digital marketing agency in Dubai. She loves to learn and share about latest digital marketing updates and trends and write for multiple marketer blogs. Post via Articles Factory.